What are your favorite title tracks? Man, I feel so special. Thanks guys. Should not have derailed his popularity after Let it Rain. This song is just tremendous. Real Country music in the 2010s and it became a hit? How did that happen? 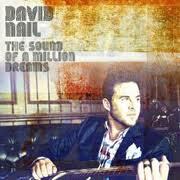 Appreciate Brian listing David Nail’s “I’m About To Come Alive”. Wish I had thought of it. Love that song.